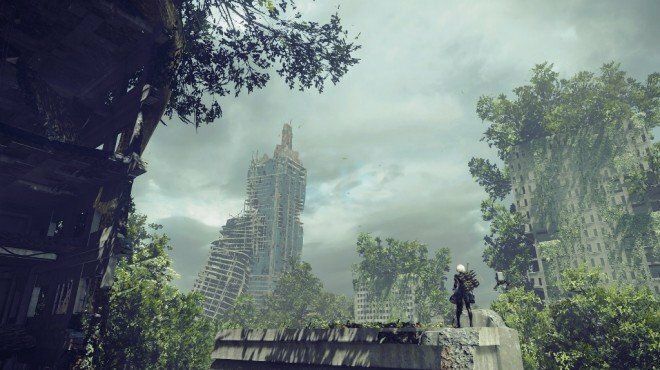 Engels 110-B Record 0020 is one of the information archives in Nier: Automata. As I can no longer move, I have nothing to do. Perhaps I will try writting what is called a "journal". Where did machine lifeforms come from? We repeat a process of self-proliferation and repair. Am I my own existence? Or do we all encompass one sole existence? The aliens--our creators--are beings that conquer worlds and stars. Their behavior is exceedingly simple. They share one objective, and as such, there is never conflict between them. But what about machine lifeforms? What about us? Rain is falling. A bird stopped on my shoulder. I never tire of looking at life on this planet. I will make my record of this bird protected data so I do not lose it. Why did I not have it after completing the side quest? ?